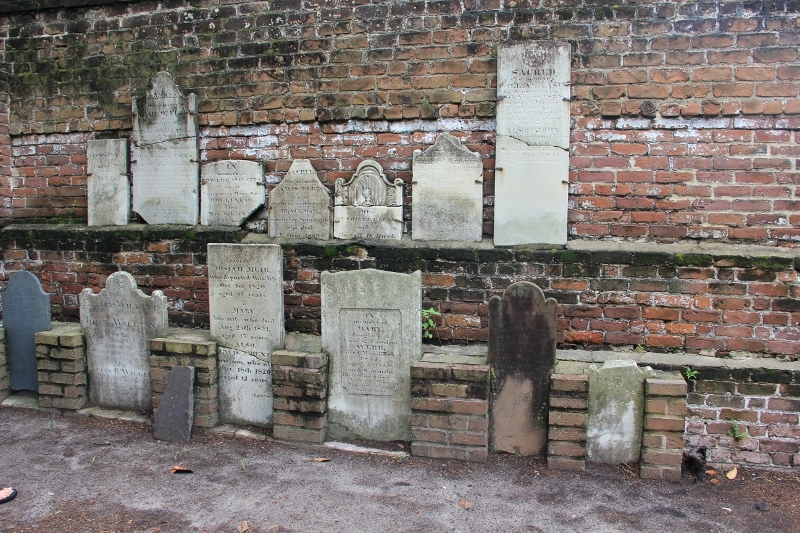 The cemetery wasn’t very big, and there certainly weren’t this many headstones, so they must have had mass burials. Really sad. 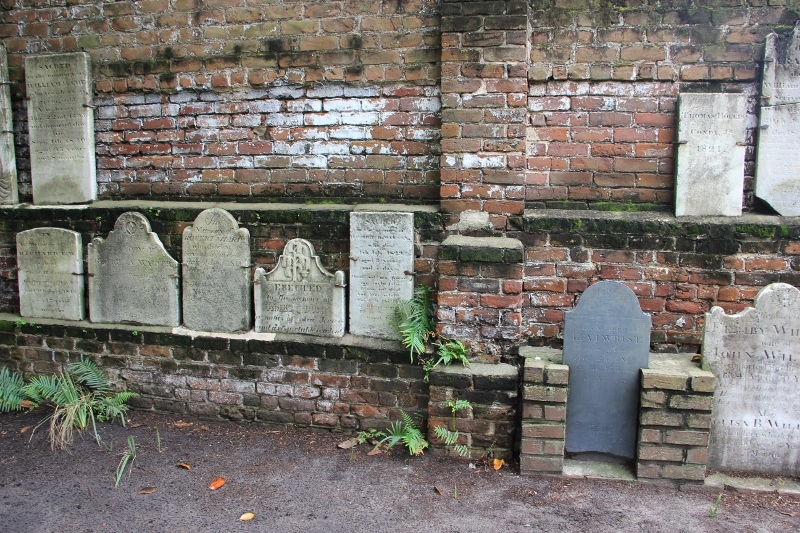 Here was one of the walls where headstones were set in memory of the yellow fever victims. Family members died within days of each other. 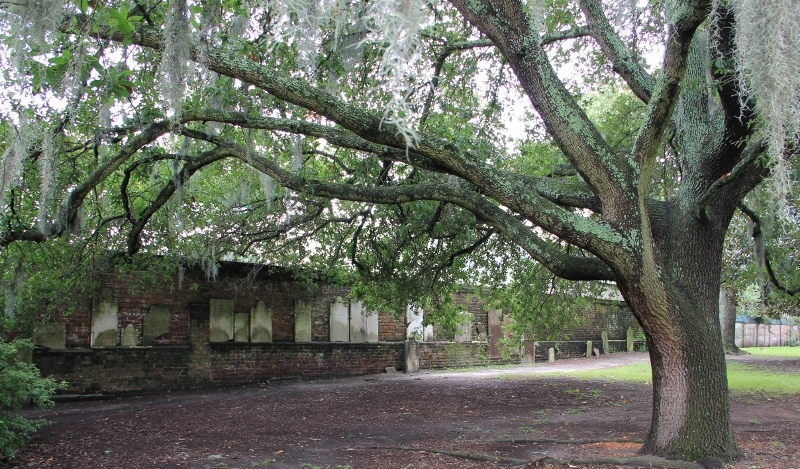 This shows the length of the wall where the yellow fever victims headstones were set, though certainly not enough to identify the masses that died in Savannah. A hurricane had hit before that and then the mosquitoes descended on the area, infected with the virus, and then the yellow fever struck. I’ve written a historical western romance set in New Orleans that had something similar, a ship even had been quarantined at the docks once it was learned some of the sailors had it. It’s not contagious, but a deadly flu-like virus carried by the mosquitoes. And though we still have it today in South America and Africa, it’s not curable, but prevented by a yellow fever vaccine. I remember reading about a place in Italy that had the most beautiful lilac trees blooming all around ancient castle ruins. But the people kept dying from mosquito-carried viruses like malaria, and those ancient people finally vacated the lands and their homes. 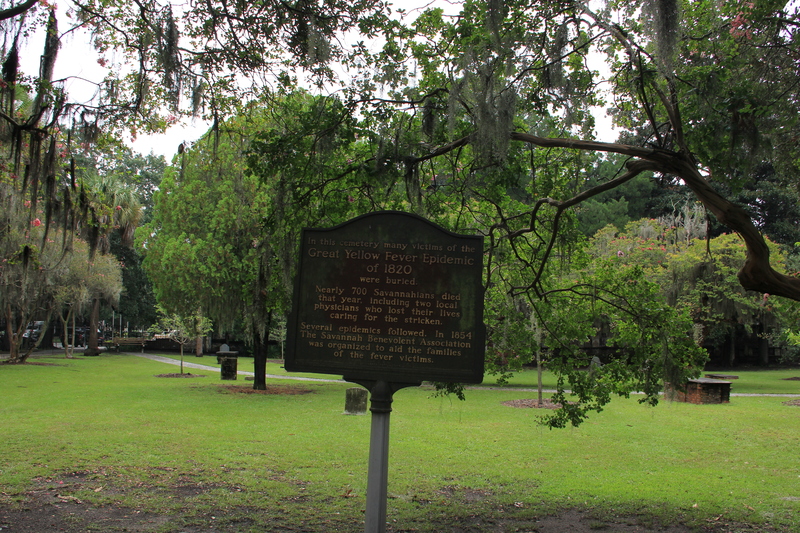 Now the area is well drained to prevent that, but back then, they didn’t have a way to drain off the water that would breed the mosquitoes. Vampires might be scary, but blood-sucking mosquitoes can be lots more dangerous. Have a lovely Saturday, and wear that bug spray! And if you’re going to the jungle–get vaccinations first! It was so sad seeing all the tombstones of families that died from that. Can you imagine being sick in 100 degree weather with no A/C? Ah, thanks so much, Bonnie! Yes, I can’t imagine how awful that must have been. From the way the sign read, I thought maybe you could catch yellow fever from someone else. But I looked it up again and it said it wasn’t contagious–not through touch or kissing. What must have happened was the mosquitoes were carrying the yellow fever and bit several family members in that same area.